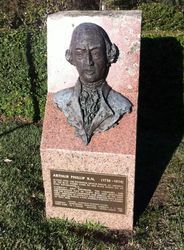 A bust commemorates Captain Arthur Phillip who passed close to this site during an exploration expedition in April 1788. In October 1786, Captain Phillip was appointed captain of the Sirius and governor-elect of New South Wales. Great Britain was no longer able to send convicts to America, the jails were full, and it was decided to send them to New South Wales. On 13 May 1787 the fleet of 11 ships set sail. The leading ship reached Botany Bay on 18 January 1788 and two days later the remainder arrived. 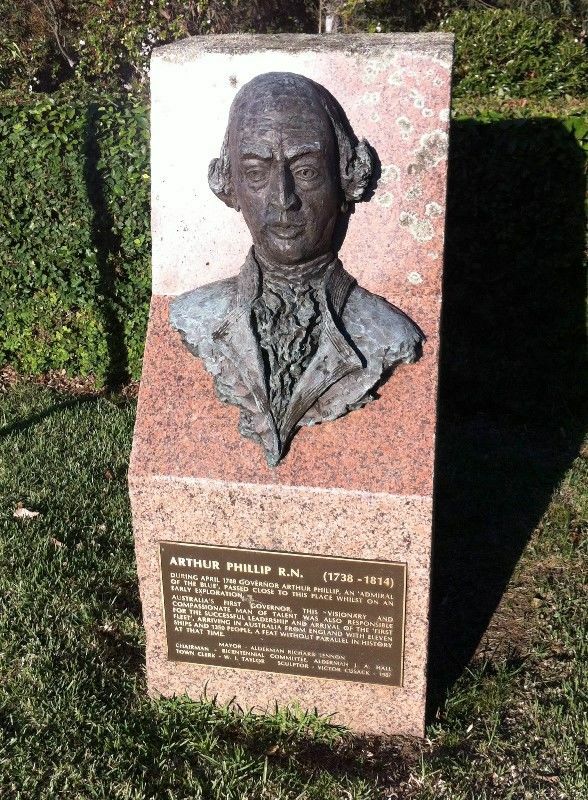 A few hours stay satisfied Phillip that the site was not suitable, it was decided to go on to Port Jackson, and on 26 January some of the marines and convicts were landed. During April 1788 Governor Arthur Phillip, an `Admiral of the Blue`, passed close to this place whilst on an early exploration. 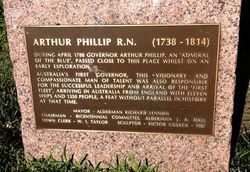 Australia`s first Governor, this visionary and compassionate man of talent was also responsible for the successful leadership and arrival of the `First Fleet`, arriving in Australia from England with eleven ships and 1350 peoplem a feat without parallel in history at that time.